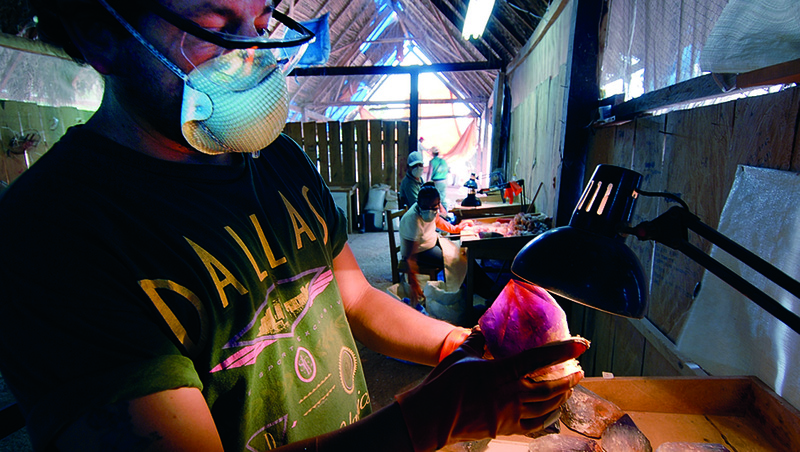 Whether projecting from pegmatite walls or encrusting cavities in volcanic rock, quartz abounds worldwide. 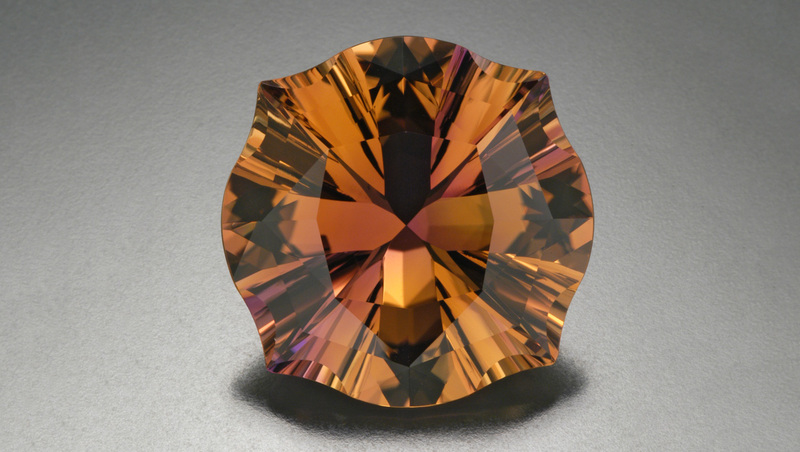 People have used quartz in jewelry for thousands of years. 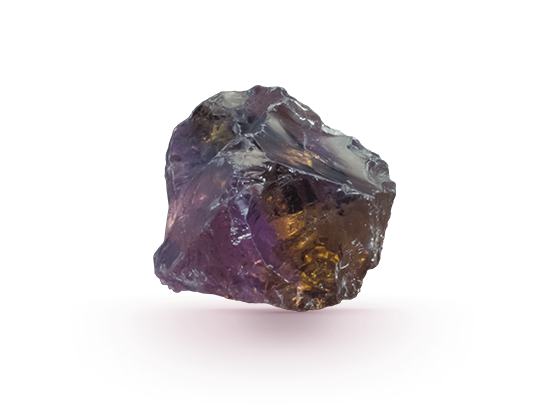 When quartz displays the colors of amethyst and citrine in a single gem, the material is called ametrine or amethyst-citrine. 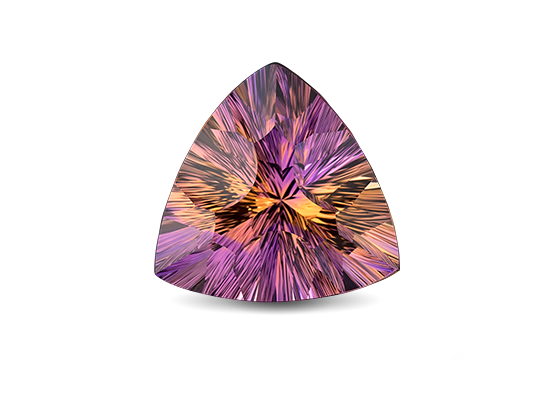 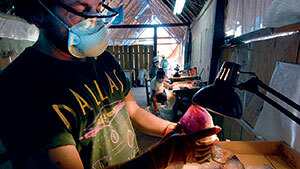 Ametrine’s only commercial source is the Anahi mine in Bolivia. 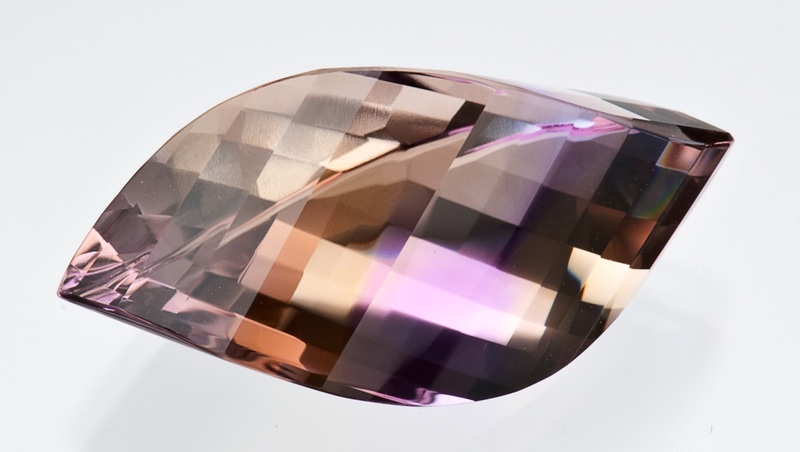 The presence of amethyst and citrine colors in a quartz crystal is a rare gift of nature. 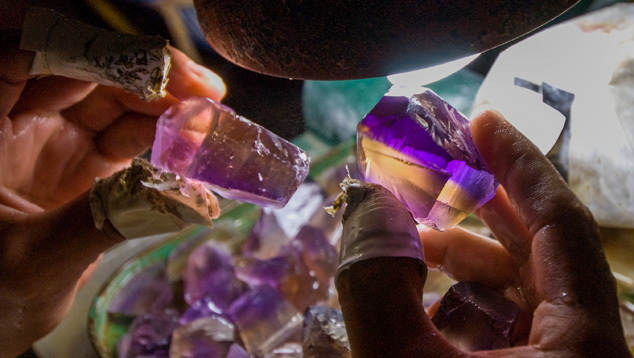 Ametrine’s colors blend, combine, and contrast uniquely in each gem. 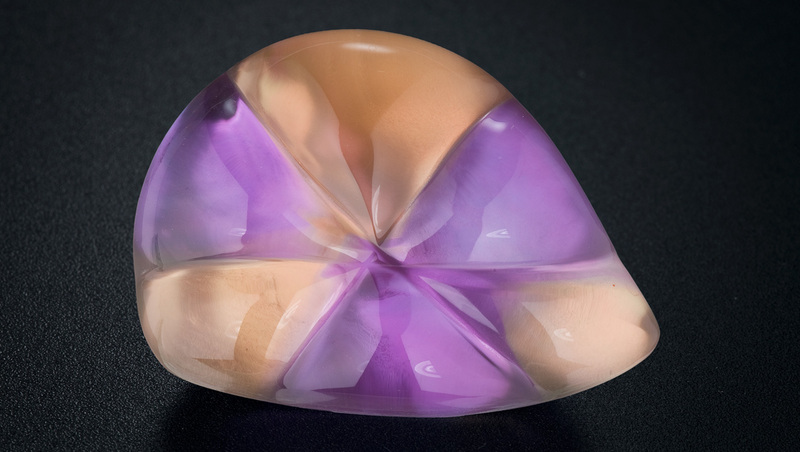 No two ametrines look the same because the colors in each gem combine in a unique way. 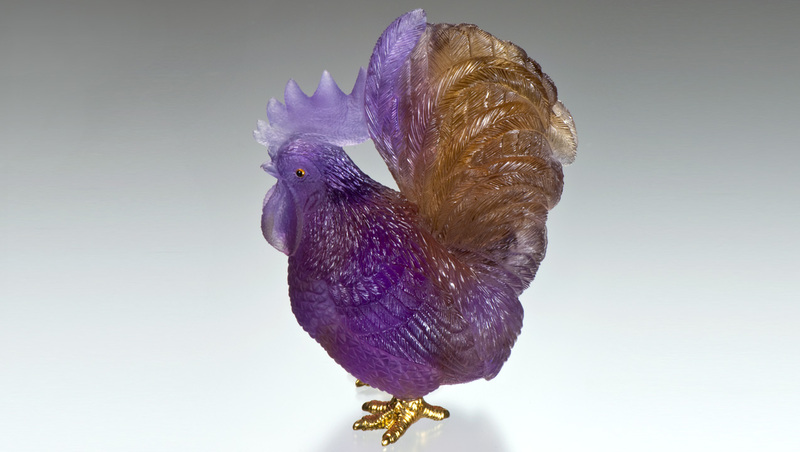 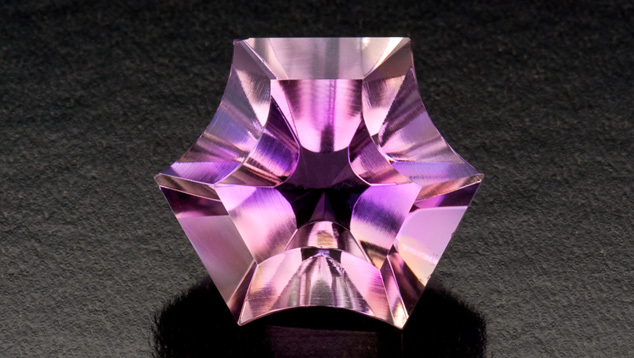 Cutters delight in finding ways to maximize the beauty of ametrine. 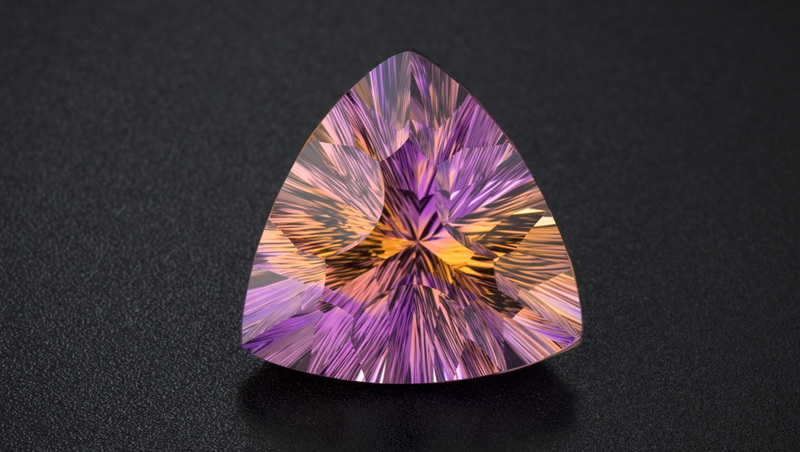 Unusual cutting styles add drama to ametrine’s unique color combination.